A native of Port-de -Grave, Audrey Burke moved to Grand Falls-Windsor to teach in 1973. Audrey has had a lifelong interest in heritage, genealogy and folklore. As a student at Memorial University, she gathered a collection of folksongs and another of folk remedies of the Port-de-Grave area. 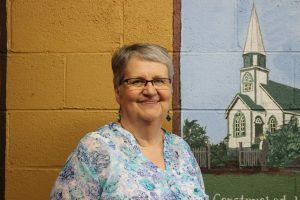 Since retiring, she has completed the MANL Certificate in Museum Studies and now volunteer at the Grand Falls-Windsor Heritage Society. There she manages their extensive collection of artifacts, photographs and other archival materials. At the forum, Audrey will be participating in the panel discussion called Stories From Here where she will discuss memories of Windsor.